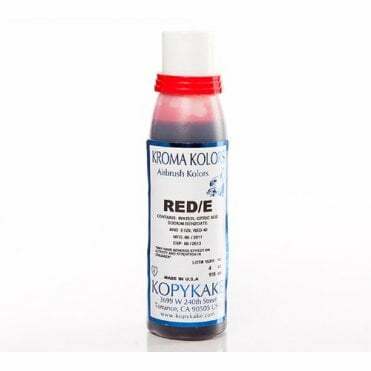 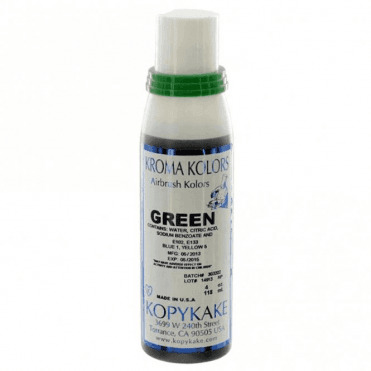 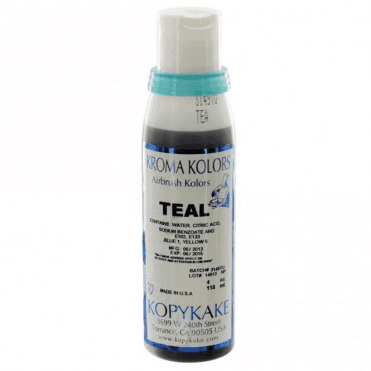 Kopykake Kroma Kolors: Reach for the Top Find Your Color Instantly 12 bottles (11 assorted colors and 1 bottle of Airbrush Cleaner) An array of liquid food colors designed for airbrush cake decorating. 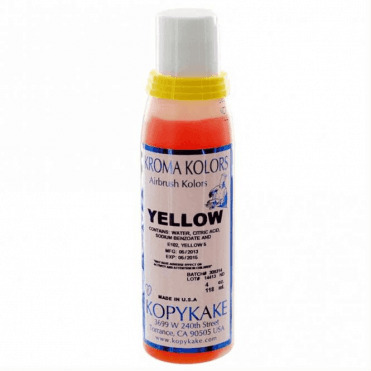 KROMA KOLORS have the impact and intensity needed for virtually all cake decorating airbrush applications, from delicate shadings to lively vibrant colors.All KROMA KOLORS colors can be mixed to create just about any desired color. 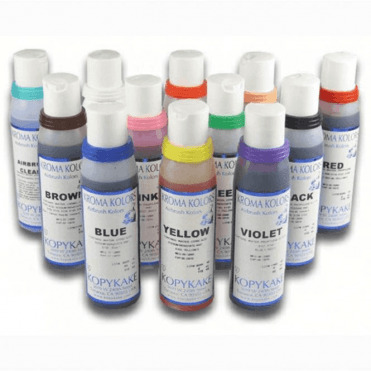 With the addition of just a few drops of our OPAQUE WHITE COLOR, you can now produce soft pastel tones, and grays which were not possible before. 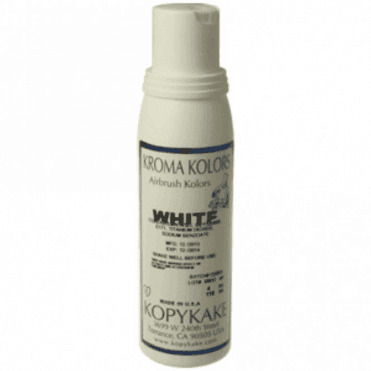 This white color even allows the covering of spraying or writing errors.KROMA KOLORS are available in sets of 12 bottles (11 assorted colors and 1 Airbrush Cleaner), in either 8oz/240 ml (KKZ12) or 4oz/120ml (K4Z12) bottles. 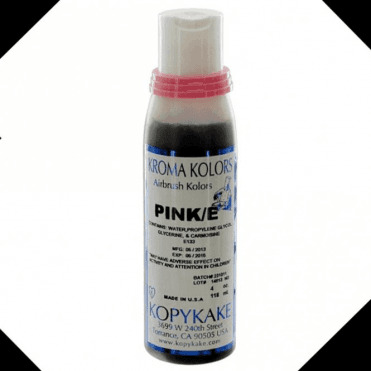 (All colors are also available individually). 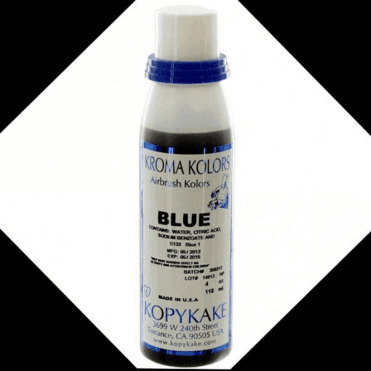 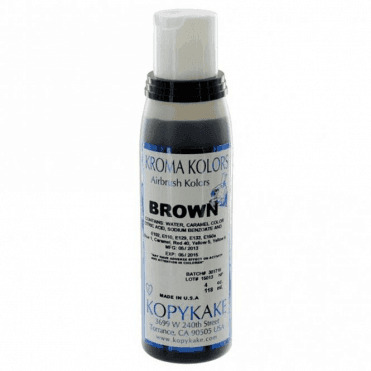 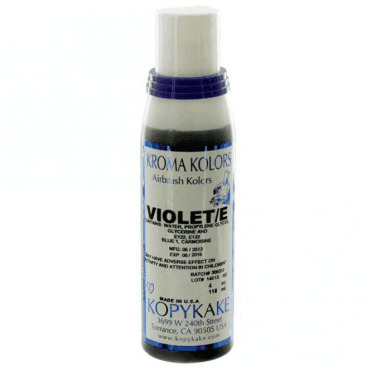 Each bottle cap has a color ring of the same color as its contents, for instant identification.All KROMA KOLORS are EU, FDA, and made with Kosher approved ingredients.